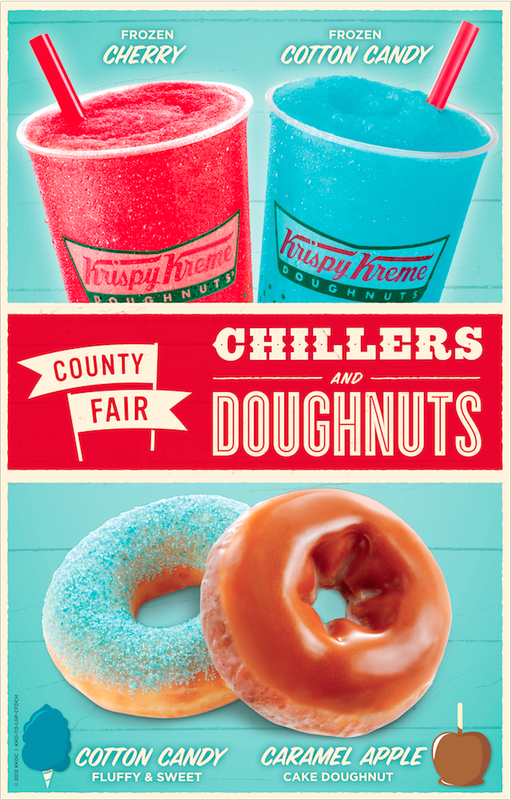 Krispy Kreme launched their County Fair campaign for the first time. County Fair is a spirited and light-hearted promotion inspired by the tastes, sights and sounds that you are likely to find at an annual county fair. 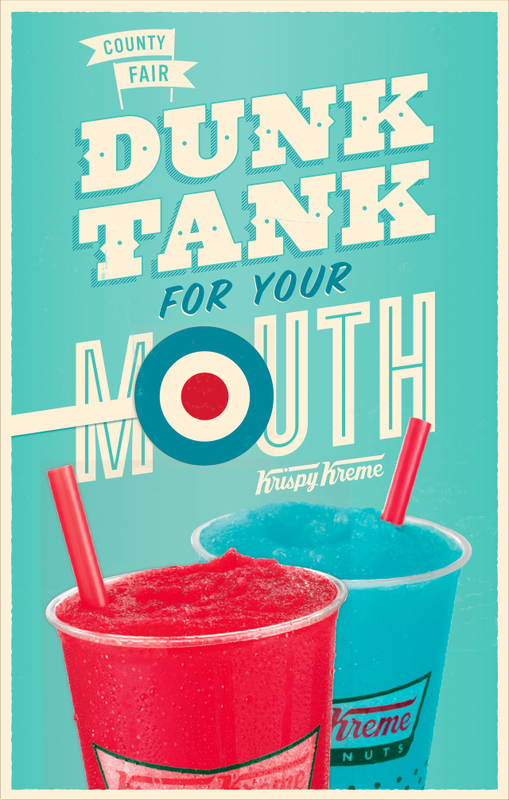 Collaboratively, we created iconic illustrations designed to help distinguish the non-traditional doughnut flavors of Caramel Apple and Cotton Candy. The campaign included a wide array of advertising elements including ceiling danglers, window clings, t-shirts, case-toppers, road signs and many other pieces.